Kirke Harper is chairman of the board of Public Employees Roundtable at the Council for Excellence in Government, a coalition of twenty-eight organizations who share a concern about the quality of public service in America. The Roundtable was formed more than twenty years ago to celebrate public service and to attract people to public service careers. The Roundtable sponsors Public Service Recognition Week, an annual celebration that takes place in cities across America and on the National Mall in Washington, DC. Before leaving government service Kirke was responsible for managing the Graduate School, USDA’s corporate strategic planning process, and prior to holding this position Kirke was Director of the Graduate School’s Leadership Development Academy. Before joining the Graduate School in 2001, he held a number of positions in the Federal government as a career senior executive. At the Office of Personnel Management (O.P.M.) he was Director of Human Resources and EEO, Director of Contracting and Administrative Services, Assistant Director for Government-Wide Training Policy, Assistant Director for Executive and Management Development, and Director of the Office of Executive Personnel. In 1995, he was responsible for the privatization of O.P.M.’s non-residential training activities. 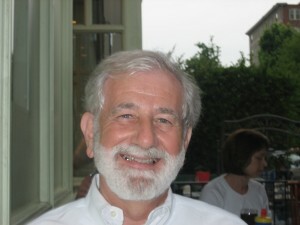 Kirke was a member of the Office of Management and Budget’s team that established the Environmental Protection Agency, and he worked there from 1970 to 1979 and again from 1983 to 1987 in a variety of positions, including Director of Administration and Director of Human Resources Management. From 1979 to 1983, he was a part of the Consumer Product Safety Commission, where he was Director of Budget, Program Planning and Evaluation, Acting Director of Congressional Relations, Deputy Executive Director, and Acting Executive Director. Kirke began his Federal career as a Management Intern at the Agency for International Development. He was a Budget Examiner and Management Analyst at the Bureau of the Budget and the Office of Management and Budget. He received his Bachelor of Arts degree in International Studies from Ohio State University and studied public and business administration as a Wolcott Fellow at George Washington University. In 1978 he attended the Federal Executive Institute’s seven-week program, and he received the Presidential Meritorious Rank Award in 1991. In addition, from 1967 to 1969, Kirke was an officer in the U.S. Army. He was awarded the Bronze Star and the Vietnam Service Medal, First Class, for service as an Intelligence Advisor in Vietnam in 1968 and 1969.